Dennis J. Blasko, “‘Technology Determines Tactics’: The Relationship between Technology and Doctrine in Chinese Military Thinking,” Journal of Strategic Studies, 34.3 (June 2011): 355-81. According to some foreign analysts, China stands on the cusp of what is described a technological game-changer, the impending deployment of an anti-ship ballistic missile (ASBM).48 The ASBM is a maneuverable conventional warhead that can track and hit moving ships at sea, mounted on an existing DF-21 medium-range ballistic missile. Its main target is US aircraft carriers. In the ASBM, foreign analysts (including the US Department of Defense and Pacific Command) see the PLA as having an indigenously developed, asymmetric means to implement ‘its anti-access strategy.’49 Operational employment of the ASBM presupposes a ‘sophisticated command and control system’ that can locate, identify, and track targets out to the missile’s range of 1,500 kilometers, then make targeting decisions and communicate this information to widely dispersed firing units in real time. 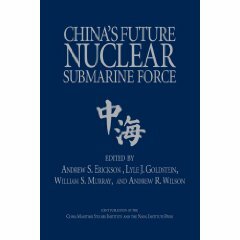 No other country has attempted to build such a complex integrated system of systems, but according to US Navy officials, ‘China has ground- tested the missile three times since 2006.’50 On 5 January 2011, Vice Admiral David J. Dorsett, Deputy Chief of Naval Operations for Information Dominance, provided updated information about the ASBM, ‘They’ve certainly test-fired it over land. But to our knowledge they have not test-fired this over water against maneuvering targets.’51 Admiral Dorsett’s careful language suggests that the Chinese may have tested the missile against a stationary target at sea. US war planners presumably now must consider operating outside the ASBM’s range envelope and find ways to counter a potential ASBM threat. In his interview, Admiral Dorsett declined to go into detail about possible countermeasures. Information manipulation should certainly be expected; discussion is likely regulated to send a desired message. Given the sensitivity of the topic, we might suppose that the current Chinese literature on ASBM development is a carefully controlled discussion. . . . The writings could also represent an inexpensive partial deterrent. ‘An inexpensive partial deterrent’ fits well within China’s stated strategic defensive posture. Given the Chinese strategic mindset described earlier and the technological hurdles that must be overcome to go from theory to fielded capability, the development of the ASBM should also be examined for its potential as a stratagem or part of a strategic deception plan. 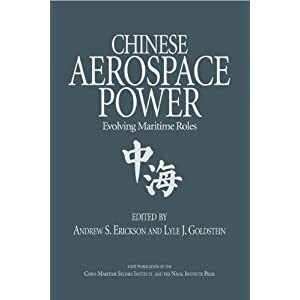 If the Chinese indeed still perceive themselves as practitioners of ‘stratagem type thinking,’ while Americans attach ‘importance to strength and technology’, from Beijing’s perspective, pursuit of an ASBM system reflects US, not Chinese, strategic thinking. Incorporating the technically complex ASBM into a strategic deception plan would, in the Chinese mind, better comport with their ‘stratagem type thinking’. However, perhaps the most important doctrinal constraint on using the ASBM early in a campaign is the escalatory threat it presents. Even if employed successfully, do Chinese political and PLA military planners truly believe that crippling or sinking a US carrier would constitute a decisive blow to the American will to fight and cause the US military to cease operations? If not, exactly how would the US armed forces retaliate? Two important principles of People’s War tend to rule against Beijing making a judgment to use the ASBM early in a confrontation (and particularly in a strike from ‘out of the blue’): ‘[fight] no battle you are not sure of winning; being prudent in fighting the initial battle’.54 Using ASBMs against US forces is not a battle the Chinese can be assured of winning, especially if US forces are on alert status and US technological and industrial capacity has been primed to develop countermeasures. Under those conditions, actually using an ASBM against US forces simply does not seem prudent. On the other hand, creating the perception in American commanders’ minds that such a capability exists might result in operational changes to ensure heightened levels of US force protection that benefit PLA objectives. 48 Within the last year many articles have been published on the ASBM. Among them is Andrew S. Erickson and David D. Yang, ‘On the Verge of a Game-Changer’, Pro- ceedings Magazine, May 2009, 5www.usni.org/magazines/proceedings/story.asp? STORY_ID1⁄418564. 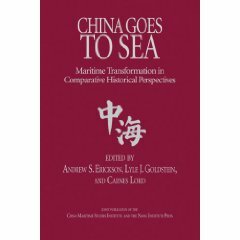 A good summary is found in Ronald O’Rourke, ‘China Naval Modernization: Implications for US Navy Capabilities – Background and Issues for Congress’, Congressional Research Service, 9 April 2010, 5–6. 49 A minor problem with such a description is that the Chinese do not use the term ‘anti- access strategy’ to describe their naval strategy or campaigns to be conducted within that strategy. 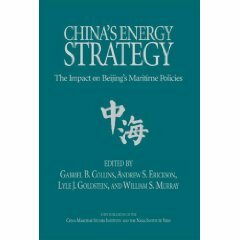 See Office of Naval Intelligence, China’s Navy 2007, 24–7, which identifies a ‘sea blockade campaign’ and ‘anti-ship campaign’ that have ‘anti-access’ characteristics, and Office of Naval Intelligence, A Modern Navy with Chinese Characteristics (Aug. 2009), 5–11. 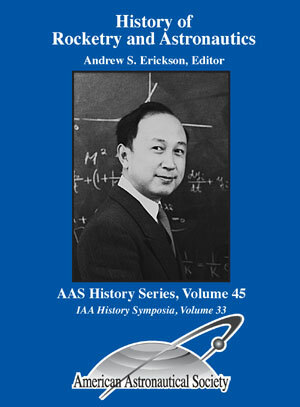 See also Thomas G. Mahnken, ‘China’s Anti-Access Strategy in Historical and Theoretical Perspective’, The Journal of Strategic Studies 34/ 3 (June 2011), 299–323. 50 O’Rourke, ‘China Naval Modernization’, 6. 51 Defense Writer’s Group, Transcript of interview with Vice Adm. David J. Dorsett, Deputy CNO for Information Dominance, 5 Jan. 2011,5www.airforce-magazine.com/DWG/Documents/2011/January%202011/010511dorsett.pdf4. 52 Erickson and Yang, ‘On the Verge of a Game-Changer’. 53 The Science of Military Strategy, 464.